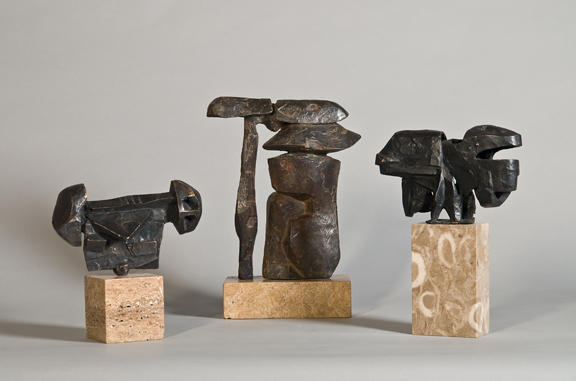 Dimitri Hadzi is among the most distinguished modernist sculptors, creator of works in bronze and stone that are powerfully abstract and expressionist in character. 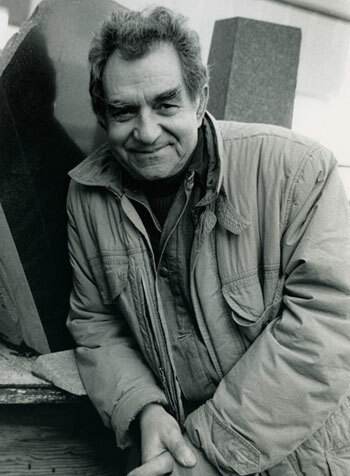 Yet his belief in the past as both a literary and an aesthetic source, as well as his use of such traditional materials as bronze, shape a career that stands out from those of mainstream modernists. Hadzi thinks of art in clear, formalist terms, but with nuances of mythic meaning drawn from his Greek heritage. After a nearly-twenty-five-year sojourn in Rome, he spent fourteen years teaching at Harvard University, at the same time that he was executing large-scale architectural commissions for sites in North America, public works of exceptional physical beauty, structural bravura, and durability. 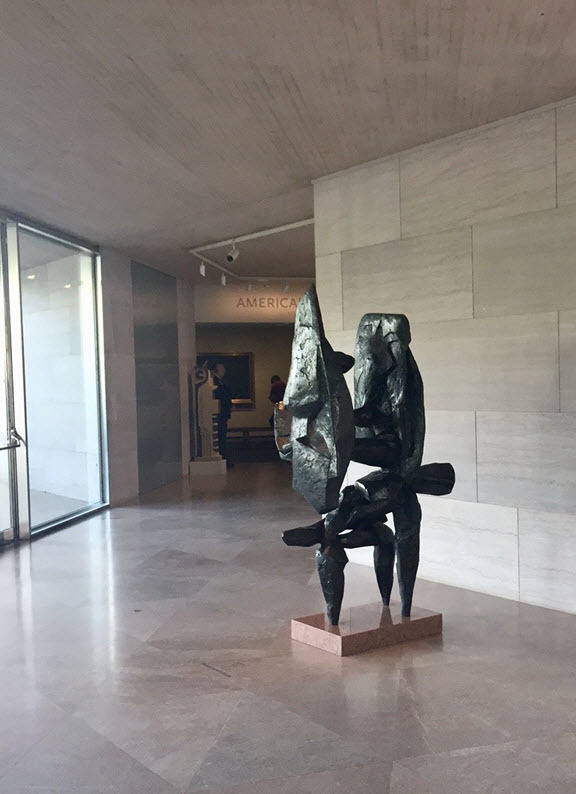 Hadzi’s sculpture reconciles the competing claims of figuration and abstraction; expressionism and emotional restraint; intimate scale and monumentality; delicacy and mass. 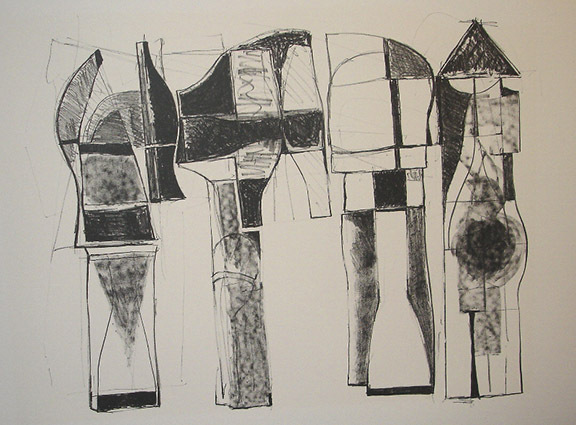 His comprehensive knowledge of ancient cultures and Greco-Roman art led to the development of a personal lexicon of forms that reflect the past and simultaneously contribute to the evolution of 20th century sculpture. 1984 Bronze at Washington Square, Public Art Trust, Washington, D.C.
Dimitri Hadzi was born on March 21, 1921 in New York, New York. 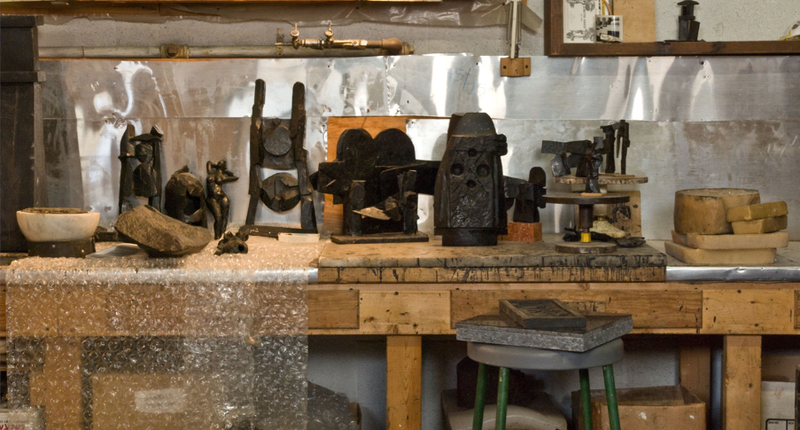 Until his death in 2006, Hadzi continued to work out of his Cambridge studio with the enthusiasm, curiosity and perseverance that marked his entire artistic life of more than 50 years. The recognition he received meant a great deal to him, but nothing was ever as rewarding to this consummate artist as a lively and productive day in the studio.